Just a week prior to this, we were in Easton looking for a restaurant someone had recommended. 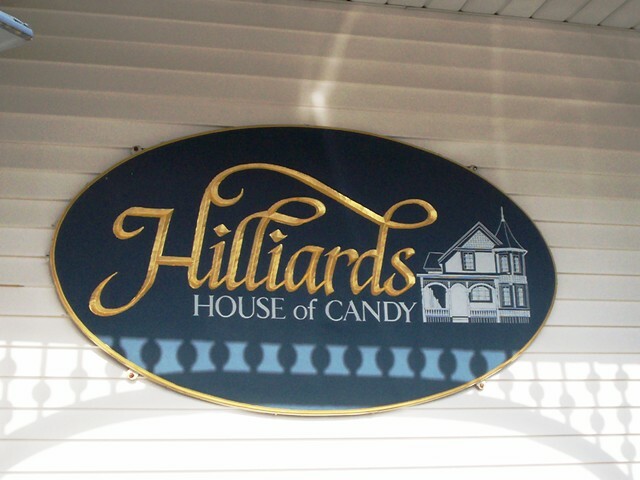 Then my eye spotted the large Hilliards House of Candy sign. Wait ... hold on ... stop! I almost made Laura spin the car around. I had heard of Hilliards many times but I didn't realize it was in our driving distance. Here it was - right in my face. Unfortunately, our plans were already made and we couldn't stop, so I vowed to return the next week. I'm here! We pulled into the impossibly small parking area around 3:30 p.m. on a Saturday afternoon. 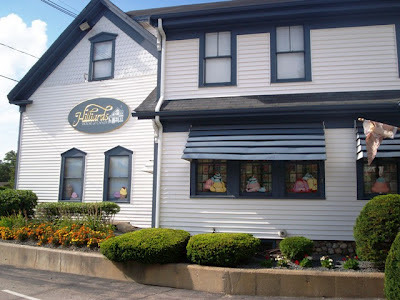 This place is adorable. It looks like a little doll house on the outside and is beautifully decorated on the inside. The sweet smell hits your nose as soon as you open the door. They should make this scent into a Car Jar. Everything looked delicious. 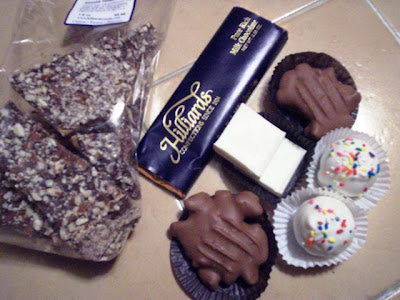 There were truffles, barks, brittles, chocolates, turtles, toffee and fudge. There were fresh-roasted nuts, mints, caramels and even a large selection of sugar-free goodies. They were so attractively packaged you hated to open them ... almost. Now for the most important part - the taste. We waited until we got home to try our treasures. Why? Because we are so restrained ... NOT! 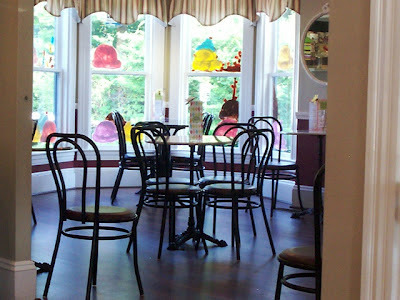 It's because we were going to the Hilliards ice cream parlor in the next room, right after we left the candy section. So here goes: the almond toffee crunch is amazing. It's not the break-your-teeth kind of crunch you've had somewhere else. It's firm but breaks easily when bitten and it's so buttery. Make sure you get some at the next August sale, if you can wait that long. I can't. Hubby enjoyed the chocolate bar, said it was rich and creamy. The white bark was fantastic, smooth and velvety with that wonderful white chocolate taste. Now the cupcake truffles. Hmmm ... they were very, very sweet. Actually, it was too sweet for me and I couldn't finish it. Laura finished hers but she also found it way too sweet. Next time we'll try a different kind. There are plenty to choose from. 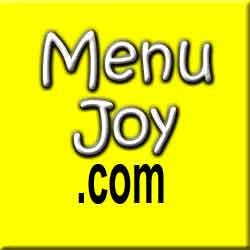 To see the complete spectrum of deliciousness and prices, click onto the link above. Well, we picked out our candy and now we've walked over to the ice cream parlor. How cute can this get? 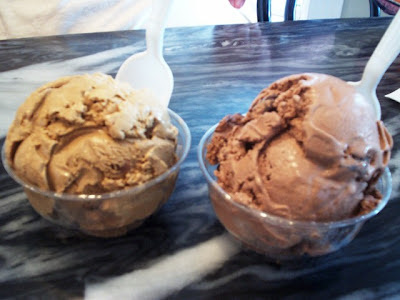 It's like a little old-fashioned ice creamery of another era. Just look at the little round tables and chairs. It's small but they have an interesting list of flavors. This award winning ice cream, which is made with the freshest ingredients including their own homemade candies, includes: Chewy Cashew Turtle Soup, Vanilla Chunky Chip, Cherry Cordial, Coffee Brownie Madness, Chocolate Grand Marnier Truffle and many more. 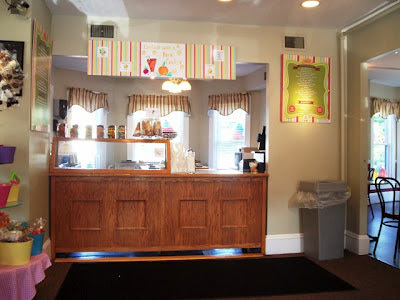 They also have fat-free yogurts and sorbets and homemade waffle cones with sauces, toppings, mix-ins and more. 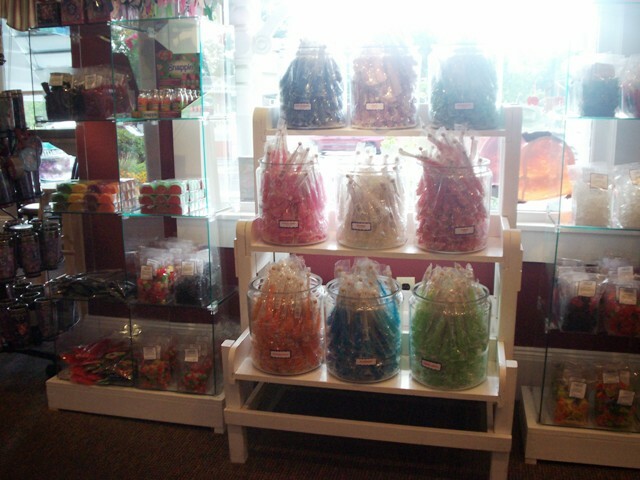 You can see all their flavors on the above website. Laura and I decided to get a small cup of ice cream, which turned out to be very generous. I chose the Chewy Cashew Turtle Soup which was chunks of their very own milk chocolate cashew caramel patties (otherwise known as turtles) in their Colombian coffee ice cream. It was a chewy, robust flavor and I loved it. 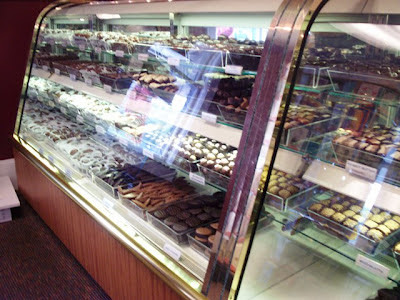 Laura chose the Chocolate Grand Marnier Truffle which was chocolate ice cream flavored with Grand Marnier and to which was added pieces of Grand Marnier truffles. Laura said it was outstanding. Actually both choices were amazingly flavorful. I can't wait to try another kind. Our total was $8.45 (two small cups at $3.95 each plus tax). Get yourself to Hilliards in Easton or one of their other locations in Canton or Hanover. 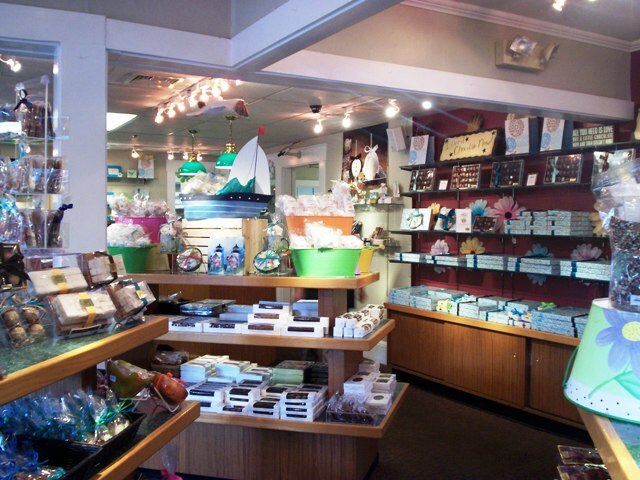 The Easton location is open from 9 a.m. to 9 p.m. daily. The ice cream parlor is open seasonally in the Easton and Canton locations - the Friday after Easter - through the end of October.